Showbiz personalities took to social media to show their support Davaoenos after Friday night’s blast. Various showbiz personalities showed their support for Davaoenos after the Friday blast that transpired in the city. The incident resulted to injuries and death. 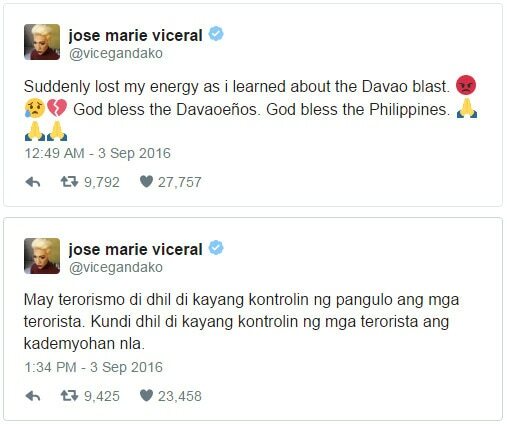 Celebrities took to social media to send their messages and prayers to the people of Davao. 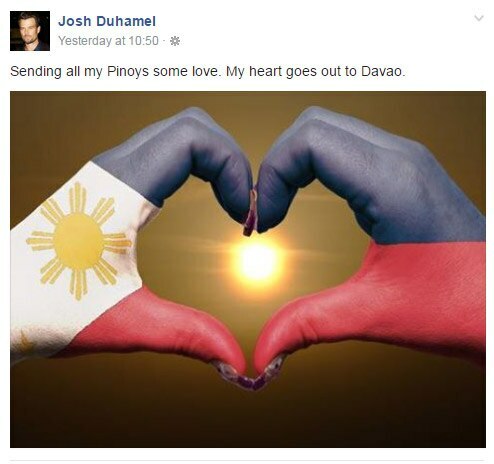 Even Hollywood star Josh Duhamel shared his sympathies on Facebook.